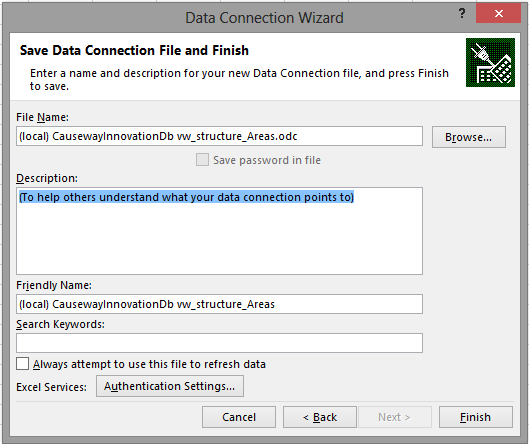 I use the Link Data to Shapes wizard in Visio Professional almost everyday, but I have not really bothered to use the Office Data Connections (ODC) files much, probably because there is no easy way of creating them in Visio. 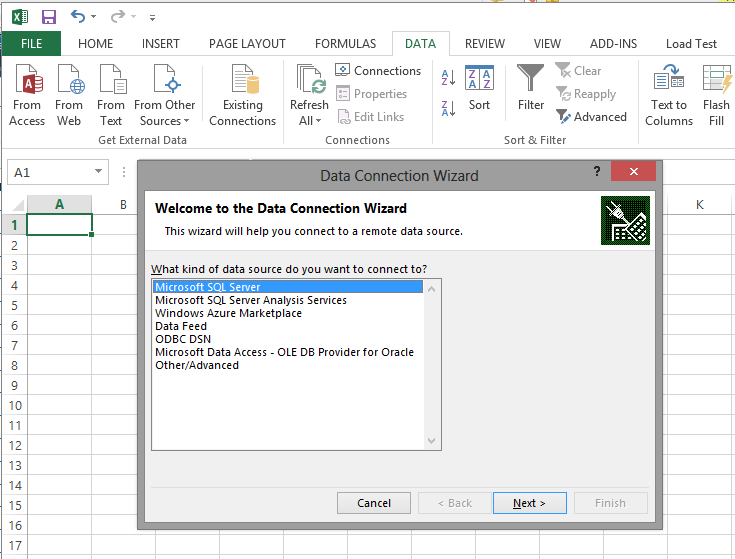 However, the Data Connection wizard does allow you to use previously created ODC files. So, I thought I’d document the easiest way I know of creating them … using Excel! 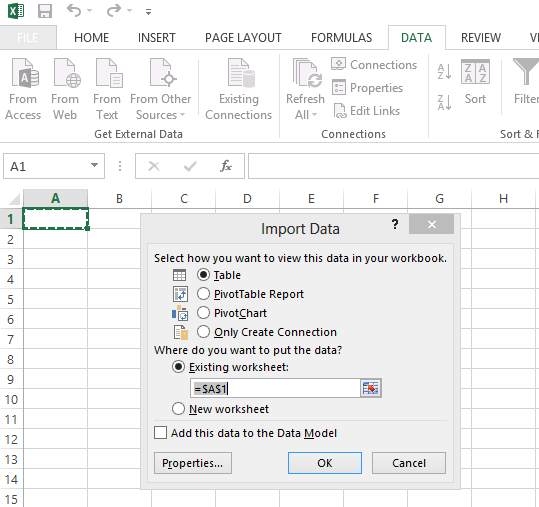 You can then select your data source, and import some sample data into Excel. 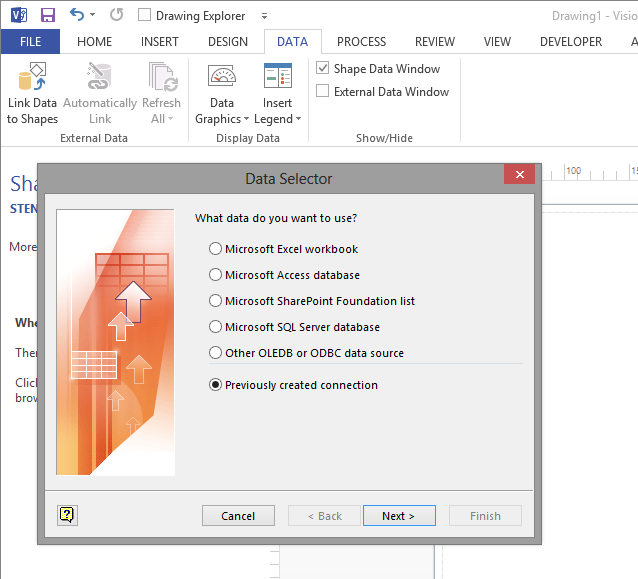 You can then select the ODC file, and continue as normal with the External Data in Visio.